The American Medical Informatics Association (AMIA) and the American Health Information Management Association (AHIMA) have called for changes to HIPAA to be made to improve patients’ access to their health information, make health data more portable, and to better protect health data in the app ecosystem. At a Wednesday, December 5, 2018, Capitol Hill briefing session, titled “Unlocking Patient Data – Pulling the Linchpin of Data Exchange and Patient Empowerment,” leaders from AMIA and AHIMA joined other industry experts in a discussion about the impact federal policies are having on the ability of patients to access and use their health information. Currently, consumers have access to their personal information and integrate and use that information to book travel, find out about prices of products and services from different providers, and conduct reviews and comparisons. However, while many industries have improved access to consumer information, the healthcare industry is behind the times and has so far failed to implement a comparable, patient-centric system. The P in HIPAA does stand for portability, yet patients are still struggling to obtain their health data in a usable form that allows them to share that information with other entities. Health data should be portable, as is the case with other types of consumer information. 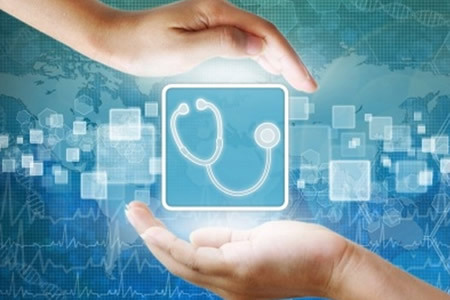 Changes to HIPAA legislation will help the healthcare sector catch up with other industries. Both AMIA and AHIMA suggest HIPAA needs to be modernized to improve patient access to health data and two options were suggested. One option is the establishment of a new term – “Health Data Set” – that incorporates all data about a patient that is held by a HIPAA-covered entity or business associate, including clinical, biomedical, and claims information. Alternatively, the definition of a Designated Record Set that is currently used in HIPAA legislation could be updated and for certified health IT to be required to provide that data set in electronic form and in a way that allows patients to use and reuse their data. Both options would serve as a solution to the problem – The former would support a patient’s right to access their health data and also support the development of the ONC’s certification program in the future to allow patients to view, download, and electronically transmit their health data to third parties through an Application programming interface (API). The update to current record set definition would help to clarify rules for both providers and patients. AMIA and AHIMA also support the extension of the HIPAA individual right of access and amendment to entities that are not covered by HIPAA but manage individual health data: Entities such as companies that develop mHealth apps and health social media applications. Similar data is created, stored, and transmitted by HIPAA-covered and non-HIPAA-covered entities, yet data access policies differ for both groups. There should be greater uniformity of data access, regardless of what type of entity collects and stores health data.